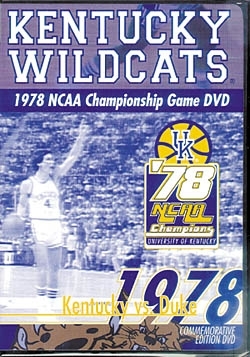 Relive the glory days of Kentucky's 1978 NCAA championship win over Duke at the Checkerdome in St. Louis. 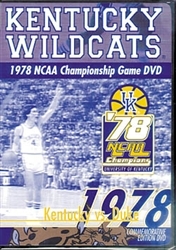 This DVD contains the complete '78 title game, highlighted by Jack "Goose" Givens' 41 points. Coverage by NBC sports and without commercials.